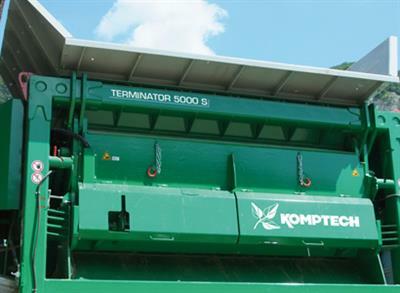 Komptech Americas is a leading international technology supplier of machinery and systems for the mechanical and mechanical-biological treatment of solid waste and for the treatment of biomass as a renewable energy source. The product range includes over 30 different types of machines, that cover all key process steps in modern waste handling - shredding, separation, and biological treatment. The focus is always on innovative technology and solutions that ensure the maximum customer benefit. It all started with the passion of a few pioneers. Now Komptech has grown up, and we are taking more responsibility for the world around us. Growth as we see it. The Komptech brand was born in 1992. Even the reason behind it was innovative, for that was the year that the Austrian region of Styria became one of the first in Europe to introduce the separate collection of biodegradable waste. 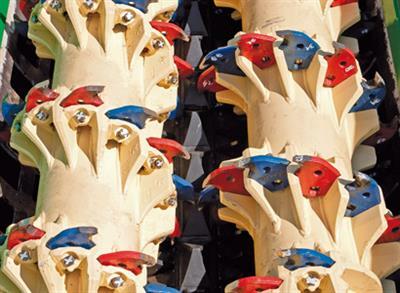 That meant there were new material flows to be treated and the company developed its first Topturn compost turner. Things went quickly after that. In 1997, Komptech outgrew its contract manufacturing capacity in Slovenia, and built a new production facility in Frohnleiten, Austria, today’s headquarters. The product portfolio grew with the addition of the Terminator and Crambo low-speed shredders, machines that are still in high demand today. Komptech continued to add to their machine line up with trommel screens, star screens and then ballistic separators. Komptech is a global player because, a world that’s getting greener needs green technology. They are taking the lead in taking responsibility for the future with over 3000 customers in over 50 countries. Komptech stands for the highest engineering art in the service of the customer. A networked and passionate team of developers continually brings out innovations that prove their value. 'Innovation as standard,' so to speak. Komptech Americas is equally committed to Komptech quality and efficiency in both Sales and Service areas. We are headquartered in Denver, Colorado with 12 dealers throughout the United States and Canada.